Greece’s public sector is growing older, with the average age going up to 45.3 years, according to new data from the Ministry of Administrative Reconstruction. According to the data presented by Kathimerini newspaper, there are 195,575 administrative employees, 352,969 doctors, nurses, teachers, uniformed employees and clergy. Out of the uniformed employees, there are 78,506 military personnel and 67,784 police officers. 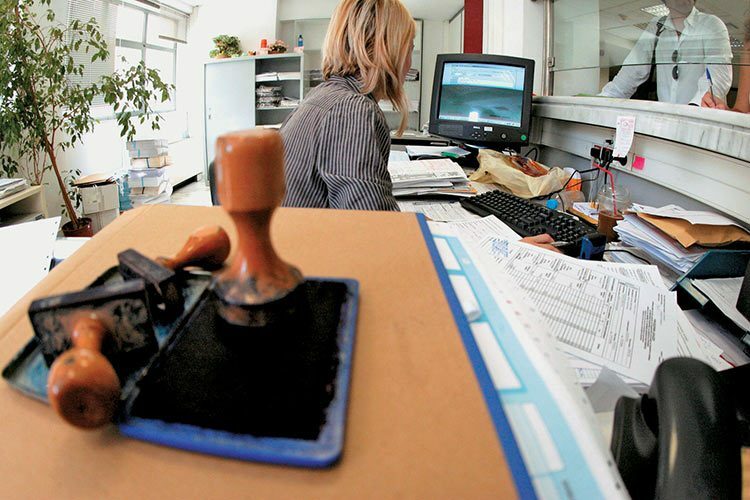 The average age of a Greek public sector employee is 45.3 years, while in the previous survey it was 43.1 years. According to ministry officials, the average age has gone up since there are no new State hirings because of the economic crisis. Also, 39.79 percent of those employed in the public sector hold university degrees, while 25.64 percent have specialized jobs meaning that they have finished some special education school.